Gamelan Raga Kusuma performing at the Indonesian Embassy. Photo by Ron Karnes. Gamelan Raga Kusuma has been privileged to perform in various venues along the US east coast, including in New York City and at the Indonesian Embassy in Washington, DC, and we have played with gamelan masters from Indonesia and various ensembles from around the world. In our home base of Richmond, VA, we have performed at numerous venues, including the Modlin Center for the Arts, Virginia Commonwealth University's VCUarts Anderson Gallery, the Luther H. Jenkins Greek Theater at the University of Richmond, the Hindu Center of Virginia, and Balliceaux. 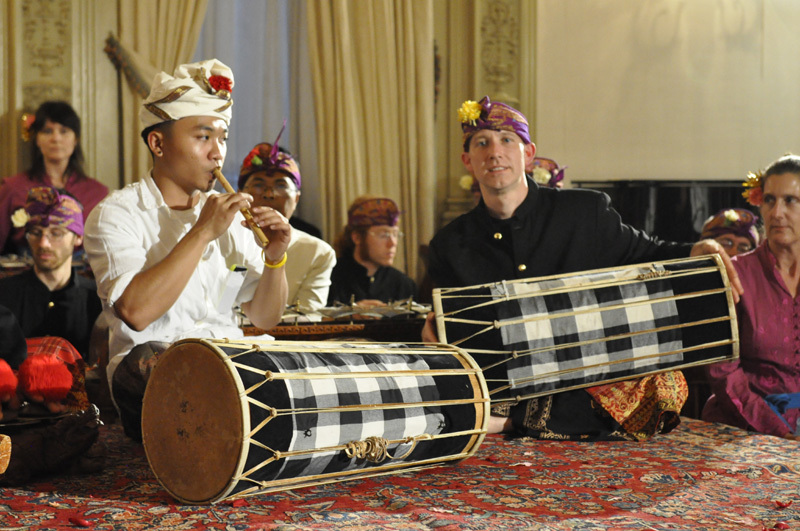 In 2010, members of our gamelan traveled to Bali and had the opportunity to study and perform with musicians while immersed in Balinese culture.